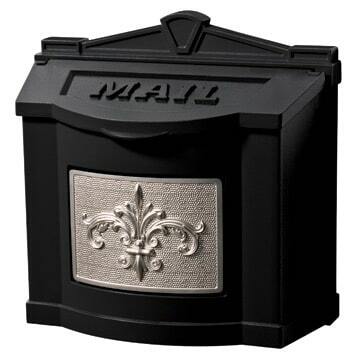 Old world charm is handcrafted into each unique horizontal mailbox from the QualArc Mailbox Provincial collection. 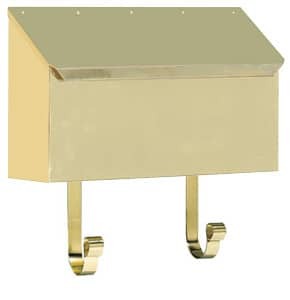 Each wall mount mailbox is handmade from heavy gauge brass and copper by skilled brass artisans. Available in 3 rustic finishes: Polished Brass, Antique Hammered Brass, and Antique Hammered Copper. 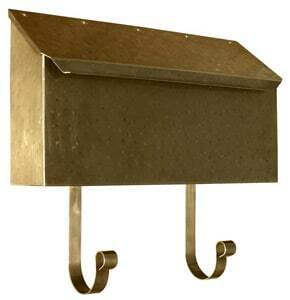 For a true rustic brass mailbox choose one of the hand hammered finishes. 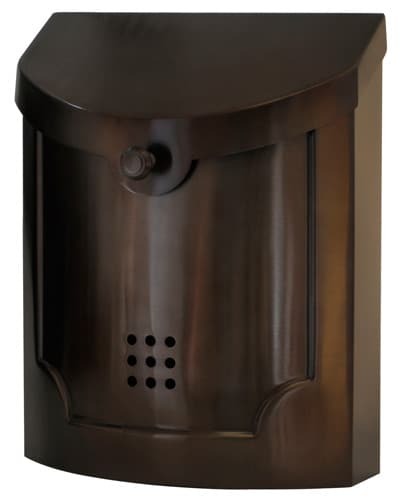 The brass finish options have a lacquer to protect the wall mount mailbox; the copper finish mailbox does not have this and will form the preferred natural patina over time. 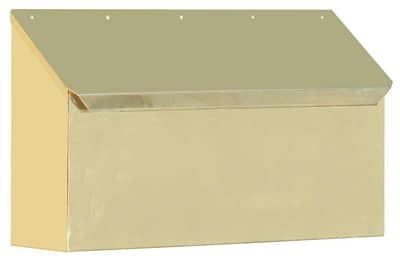 Please note that the Polished Brass mailbox is not recommended for corrosive salt-air locations. 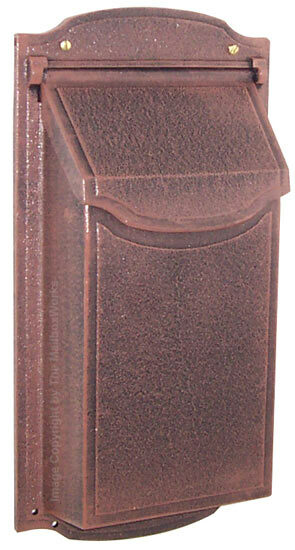 Included with the mailbox are newspaper hooks. Not what you’re looking for? 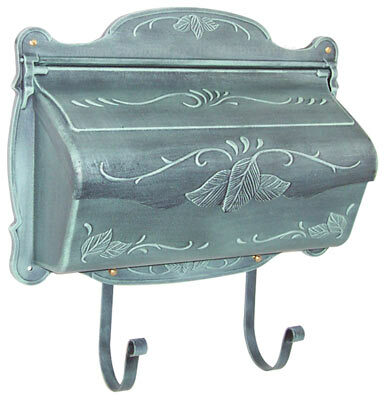 Browse all decorative Horizontal Wall Mount Mailboxes.